Stegosaurus is one of the most beloved herbivorous dinosaurs. This animal is easily recognized by the public due to it's distinctive double row of back armor and the long spikes on the end of it's tail. The utility and function of these plates is the subject of much paleontological discussion, though most agree they would have served as a defense strategy among other uses like display or even thermoregulation. When you consider that this slow plant-eating dinosaur shared it's home environment with fierce predators like Allosaurus and others, the need for defense strategies becomes fairly obvious. 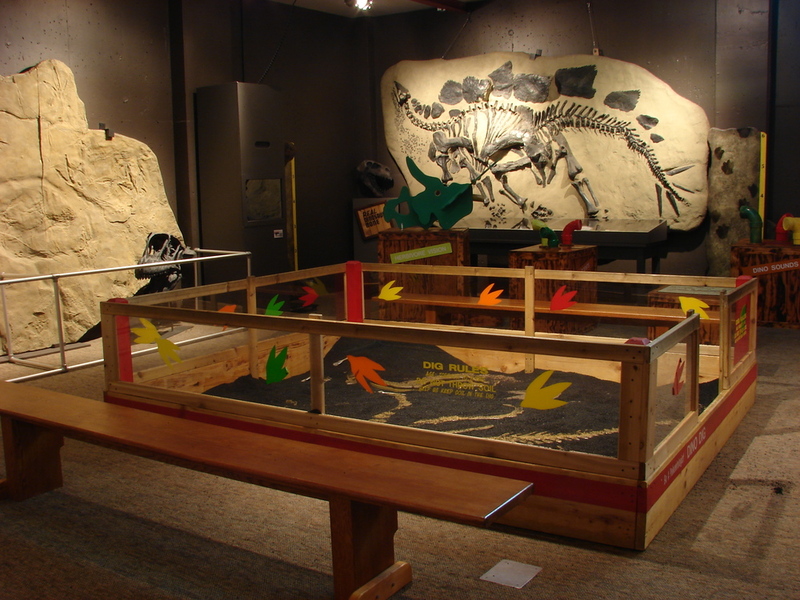 In 1992 this beloved dinosaur was named the state dinosaur of Colorado, where many important finds have been made. Our specimen is mounted as a panel depicting the orientation in rigor mortis as it would have died. This specimen is typically displayed horizontally on the ground, being fed upon by a mounted Allosaurus fragilus skeleton. Specimen can also be hung vertically on a gallery wall in shows with a smaller footprint.